The Epicure has three Michelin Stars and 114 Faubourg has one. “• Why do people love staying in your hotel? People love staying at Le Bristol for its good location on the elegant rue du Faubourg Saint-­Honoré, at the heart of the city's arts and fashion district. 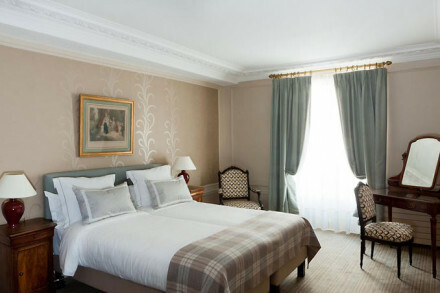 They also choose Le Bristol to experience the French “art de vivre” through exemplary service and great refinement. • What is there to do in the area or on site? Our guests can pamper themselves at the Spa Le Bristol by La Prairie, which offers a large range of treatments in its cabins overlooking a private garden. They also have the chance to swim over Paris’s rooftops in Le Bristol’s panoramic swimming pool on the 6th floor. 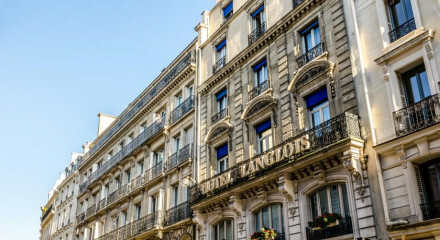 Le Bristol is ideally located in the area of the art galleries on the rue du Faubourg Saint-­Honoré, and a stone’s throw from the most emblematic Parisian places: the Louvre museum, the Champs-­Elysées, the Grand Palais. • What kind of breakfast do you offer? We offer our guests various options for breakfast: in your room, at Epicure the 3-­Michelin stars gastronomic restaurant, or at the Jardin Français, and three different breakfasts are available: American, Continental or Japanese. on blinis with slightly acid dill cream, Parma ham with olive oil and basil on buratta, cottage cheese with strawberry juice and seasonal fresh fruit salad. • Do you offer other meals? And can you recommend good places to eat out locally? Le Bristol offers a unique gastronomic experience in Paris. 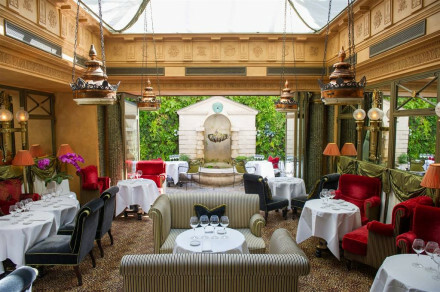 Following a third Michelin star awarded to Le Bristol’s Epicure restaurant in 2009, Le 114 Faubourg – the hotel’s brasserie de luxe – has been honoured with its first star in the Michelin Guide. As such Le Bristol Paris has become the only European Palace Hotel to be crowned with ʺ4 stars". We also recommend dinner at Lazare, the brasserie of our 3-Michelin star Chef Eric Frechon, to experience real authentic French cuisine. Finally, do not miss a lunch at Le Griffonier to experience a true Parisian bistro. Of course, do not hesitate to ask our concierges for advice; they will recommend guests these restaurants and many others according to their taste and desire. • Which are your most popular room types, and why? All the rooms and suites are unique with different pieces of furniture and fabrics specially chosen by the owner, Mrs Maja Oetker. During the past three years, a huge renovation program has been undertaken to refurbish all the 188 rooms and suites of the hotel. The most popular room types are definitely our Signature suites which are authentic Parisian apartments with panoramic views over the most beautiful buildings in Paris. • What message would you like to give Hotel Guru readers? The hotel is stuffed with period pieces and paintings.